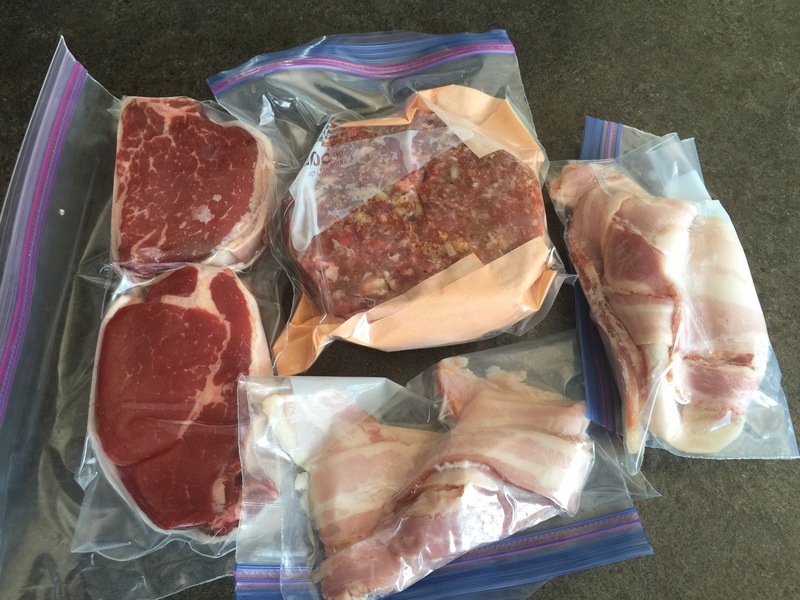 Ready for the freezer, then next stop my belly…. This time next week Carolyn and I will be wrapping up our first of three days at Ellen Island Camp on Lady Evelyn Lake, hopefully already talking about our amazing catches. But if for some reason the fishing is tough, or the weather doesn’t cooperate, then the importance of quality meals becomes even more important than normal. I pride myself in ensuring that those who join in on my fishing trips experience above average meals, and this short two person trip will be no different. Ellen Island Camp is housekeeping only, so all the guests will be in the same situation of doing their own meals. I’ve fished camps that were full American Plan, and no doubt it’s nice to start and end your day with a delicious served meal, and no dishes, but cooking for yourself has it’s advantages too. First of, you can control the menu, which means controlling costs as well. You also get to pick the times you want to eat based on the schedule of your group. For this short trip I have to plan 3 each of Breakfast, Lunch and Dinner. We’ll be doing 2 shore lunches, which is a must on any fishing trip, and the third lunch will be nice and easy BBQ hot dogs. Breakfast will include eggs, pancake and french toast, accompanied by either sausage or bacon, along with toast and hash browns. Our dinners will be home made burgers, ribs, and a nice filet mignon. Not bad fare if I do say so myself. So with the bulk of the meal prep done, now my attention turns to making sure all of the gear is in top shape. Below is a short video of me doing meal prep! This entry was posted in Fishing, General, Lakes and tagged amateur, Angler, boat, crankbaits, Ellen Island Camp, fishing, great fish, jigs, Lady Evelyn Lake, lures, nature, outdoors, pike, Remote Lake, Shore Lunch, target species, trolling, trophy fish, Walleye, worm harness. Bookmark the permalink.